As a genre, the romantic comedy has been on its last legs lately, mired in raunch and ribald jokes on the one hand, or insipid wish-fulfillment on the other. But an otherwise endangered form gets a welcome kick in the pants in The Big Sick, an exhilarating, utterly endearing movie that feels like both a return to classic principles and a bracing look forward. Kumail Nanjiani, best known for his work on the HBO series Silicon Valley, stars in The Big Sick as Kumail, a Pakistani-American stand-up comedian who is an Uber driver on the side while he works out his routine in a Chicago club. When he's heckled one night by a bright, blond graduate student named Emily (Zoe Kazan), the encounter leads to a funny, instant-karma one-night-stand. But what Kumail and Emily intend to be just one of those things eventually morphs into something more serious, a development that threatens Kumail's relationship with his traditionalist parents, who are trying to fix him up with a suitable Muslim wife. 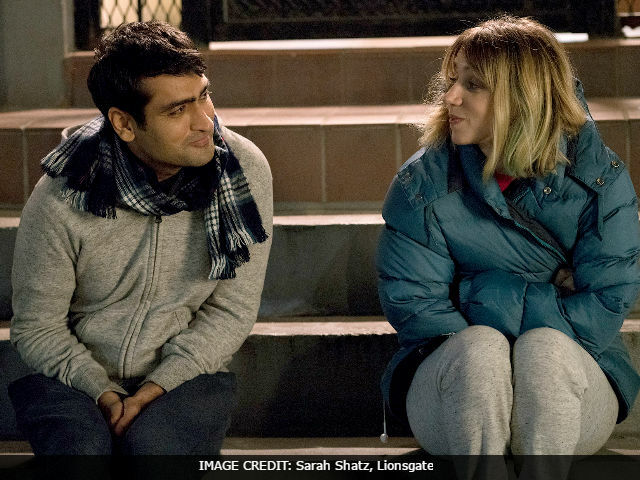 Nanjiani wrote The Big Sick with his real-life wife, Emily V. Gordon, whose serious illness, depicted on-screen, introduces yet one more complication into the already fraught culture clash of the story. Loosely based on the couple's courtship and early romance, the movie moves easily between a seemingly endless series of false starts and setbacks, which never feel forced or plot-driven, but simply a reflection of the dizzyingly overdetermined experience otherwise known as Life. Kumail and Emily's near instant recognition of each other as bright, slightly sarcastic observers of life feels just as organic and true as Kumail's competitive banter with his fellow stand-up strivers (Bo Burnham, Aidy Bryant, Kurt Braunohler), which feels just as on-point as his dissembling with his mother and father (Zenobia Shroff and Anupam Kher) and the awkward first impression he makes with Emily's parents, played with dazed concern and brittle rage by Ray Romano and Holly Hunter. With Romano providing steady, rocklike ballast to Nanjiani's own deadpan wit, Hunter often seems in danger of stealing the movie in a fit of overacting. With Emily out of commission for much of the movie, the most intriguing relationship is among their three characters, whose only thing in common is the young woman they all adore. Indeed, Hunter's presence in The Big Sick underscores how much pathos and rueful humor it shares with the work of James L. Brooks, whose Broadcast News Nanjiani and Gordon watched as inspiration for the seriocomic tone they were trying to strike. Aided by producers Judd Apatow and Barry Mendel, as well as director Michael Showalter, they succeed brilliantly with The Big Sick, which pays homage to the bless-this-mess reality of life while offering just the right fizz of romantic idealism. Like a weird, wonderful cross between Amour and While You Were Sleeping, this alternately hilarious and wrenching portrayal of commitment threads a whisper-thin needle between candor and cathartic laughs, gliding from grim hospital vigils one minute and into antic screwball family dynamics the next. Anchored by Nanjiani's superbly calibrated performance - not to mention his and Gordon's scrupulous massaging of their own lived experience - The Big Sick winds up being one of the most satisfying films of the summer, and quite possibly the year. It's a movie that not only puts human imperfections and incongruities on display, but also revels in them. This is what love looks like, it seems to say, emblazoning those words on a 30-foot flag and letting it fly. Four stars. Rated R. Contains obscenity, including sexual references. 119 minutes.